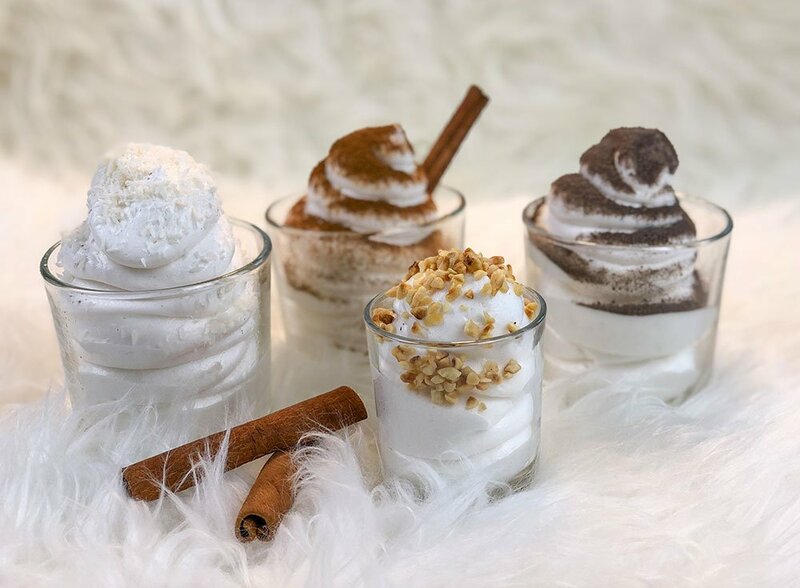 Almost everybody’s talking about protein fluff or egg white fluff! A fantastic thing made from protein with few calories yet low in carbs. We took a closer look at the ingredients. In most cases, these protein fluffs contain fiber syrup (tapioca syrup). However, most people WON’T realize that these syrups also contain isomalto-oligosaccharides (IMO). They’ll affect your blood sugar level almost as strongly as dextrose does! Please read our detailed article on this subject HERE! You will be surprised! 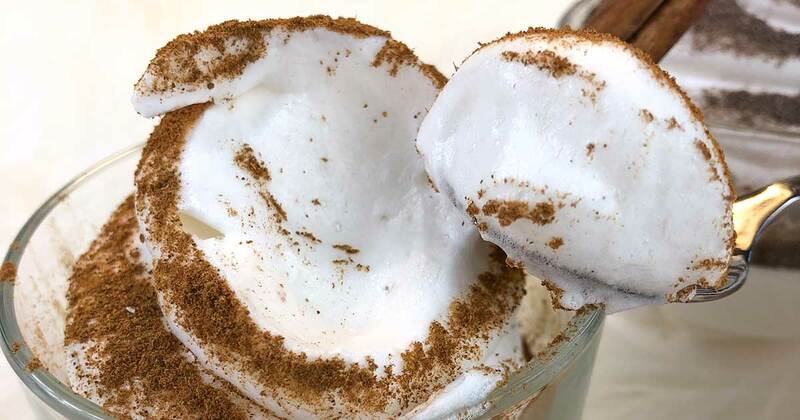 And here comes our recipe for a healthy and cheap alternative to make this fluff that will cost you only 83 cents per serving – and with our saver bundle it’s just 74 cents! All you need is Egg White Protein Powder AND Jam Fix to produce an amazing protein fluff à la “ALMOND”. We use exclusively egg white powder so that you won’t have to worry about salmonella because we leave no egg yolk! The fluff can be stored in the fridge for a couple of hours or you freeze it, you can even use it to prepare meringue. Some fluffy options for this recipe will be online within the next few days! Our ALMOND protein fluff – a quick and super tasty treat with JUST 17 kcal and 0.5g carbs per serving! Prepare 2 egg whites from the Egg White Protein Powder – see instructions on the packaging. Add one pinch of salt and beat until very stiff. Bring 50g Jam Fix and 70ml water briefly to the boil. Immediately and gently pour the mixture into the beaten egg white in a thin stream and whisk at top speed. Continue to stir for 1 minute. This makes the fluff more voluminous. Now you can add fruit powder or pure flavours, vanilla, spices a.s.o. – Please DO NOT add fat-containing foods such as cocoa powder, as the fluff would fall. Fat and beaten egg white do not get along with each other. Fold in fatty ingredients only very carefully. Now you can fill the fluff into jars and garnish as you like: coconut flakes, nuts, chocolate, fruits and many more topping options! PLEASE NOTE! Ingredients for the fluff are available in our shop only as saver bundle – See link below! This entry was posted in All Recipes, Desserts, Sweet Recipes. Bookmark the permalink. Isomalto-oligosaccharides (IMO) in “sugar-free” syrups – New study: raise blood sugar levels almost as fast as dextrose!